Is Art Good for our Mental Health? As part of The Big Anxiety, Niall Boyce Editor of The Lancet Psychiatry, hosts a lively discussion with leading artists to determine if art is good for mental health. Do artists have unique insight into the life of the mind and the experience of anxiety? Can art enable us to see and feel the experience of others. And does art make us feel better or worse? Dr. NIALL BOYCE joined The Lancet as a Senior Editor in 2010, and is founding Editor of The Lancet Psychiatry. Niall trained in medicine at Oxford University and subsequently on the University College London psychiatry rotation. His interests include suicide research, trauma, old age psychiatry, and social and transcultural aspects of mental health. DAVID WOODS is an acclaimed actor, director, and playwright. In 2016 David appeared on screen as Dale in The Wrong Girl (Network Ten) and on stage in A Flea In Her Ear for STC, Sydney Opera House. David is the co-artistic director of Ridiculusmus, a multi-award winning theatre company that has been producing seriously funny theatre for over 20 years, exploring aspects of mental health. Productions include Give Me Your Love, and The Eradication Of Schizophrenia in Western Lapland. PATRICIA PICCININI is one of Australia’s most celebrated visual artists. She creates tender, grotesque and beautiful artwork in sculpture, installation and photography. Her confronting and ambiguous works push the boundaries of what is human and animal and in so doing, explore the dynamics of empathy. Patricia is Enterprise Professor, Victorian College of the Arts, University of Melbourne, and represented Australia at the 50th Venice Biennale in 2003. BRENDA L CROFT is a member of the Gurindji/Malngin/Mudpurra/Bilinara peoples from the Northern Territory of Australia, and is one of Australia’s leading Indigenous artists and curators. Her work explores the trauma of racism and the impacts of colonialism on mental health. Independent curatorial projects have included: (1997) co-curator, with Hetti Perkins (Eastern Arrernte/Kalkadoon peoples), fluent: Emily Kame Kngwarreye, Yvonne Koolmatrie & Judy Watson, Australia’s representation at the 47th Venice Biennale, later touring Australia; (2000) curator, Beyond the pale: contemporary Indigenous art, Adelaide Biennial of Australian Art, 2000 Adelaide Festival of the Arts and most recently at UNSW Galleries, Still in my mind; Gurindji location, experience and visuality. In 2011 Croft was awarded an Australian Research Council Discovery Indigenous Award 2012 and has recently undertaken a PhD at the National Institute for Experimental Art, UNSW, where she is a Senior Research Fellow. SHAUN PARKER is an award-winning choreographer whose work has toured nationally and internationally to 18 countries across Europe, Asia, Middle East and the USA. His work includes AM I, Happy as Larry, Divine Harmonies, My Little Garden, Blue Love, Love Instalment, and Tenebrae III. He has also worked continuingly with gifted, and sometimes untrained and under-privileged performing arts students across Western Sydney, resulting in the production The Yard. Parker has also created several outdoor community works SPILL, TROLLEYS and TUT. HAPPY AS LARRY is inspired by Chilean psychiatrist Claudio Naranjo’s work on the Enneagram and his book: Character & Neurosis, and investigates notions of happiness, anchored around ego structure and personality types. CAROLINE BAUM has had a distinguished career in arts journalism and broadcasting in the UK and Australia, working for the BBC, ABC radio and television, Time-Life Books, Vogue and as the founding editor of Good Reading magazine. She co-wrote and produced of In Search of Bony, a film for SBS about the Indigenous crime writer Arthur Upfield and has curated talks for the Sherman Foundation and appeared as a moderator at all major writers festivals in Australia. She is renowned for her public interviews with writers including Lionel Shriver, Colm Toibin, Alice Walker, Elizabeth Gilbert, Norman Doidge, Edmund de Waal, Isabel Allende, Annie Proulx, Helen Garner, and broadcast interviews with Oliver Sacks, Margaret Atwood, etc. She has been a judge of the Stella Prize for Womens Writing, the Ned Kelly Awards for Crime Writing and the Kibble Award and is a former board member at FORM Dance. Her non-fiction has appeared in two anthologies: My Mother, My Father: On Losing a Parent and Rebellious Daughters. In 2015 she was awarded the Hazel Rowley Fellowship. Her memoir, ONLY, was published in 2017 (Allen and Unwin). Presented with Art Gallery of New South Wales. Supported by Lancet Psychiatry and Black Dog Institute. 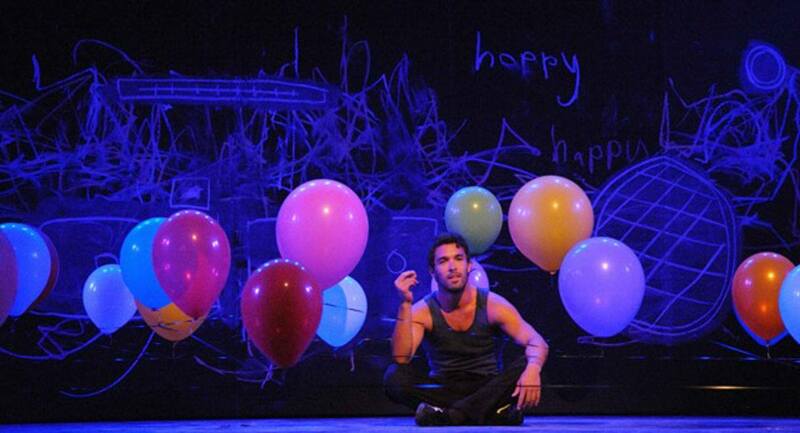 Banner image: ‘Happy as Larry’ (Shaun Parker & Company) photo by Branco Gaica.